Winter Anime Plans | Mezashite! Just talked to the group head, and don’t worry, they’re releasing a new episode within the next day or two. Either way, we’re only planning on subbing currently airing series [from the beginning], and we wouldn’t want to just pick up a show like that when there’s no need for it. Actually YPC5 Go Go 31 will be out either today or tomorrow. The anon translator sent in a new script today. 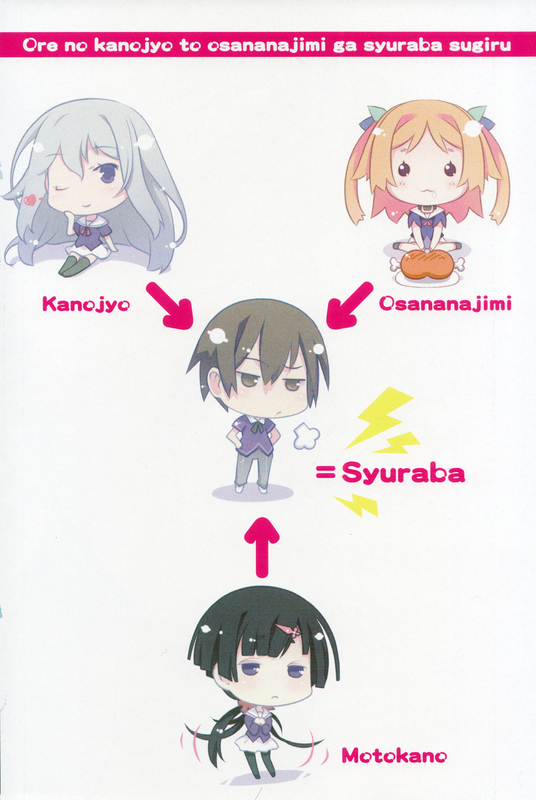 Hi, I’m Mezashite’s translator for OreShura. We made this group with an ideal that there should be numerous fansubbing groups, each distinct, with their own character. While matching up people from different roles may make for a more efficient system, we feel that the aesthetic and illusion of choice gained from small, distinct, subbing groups outweighs this possible increase in efficiency. In addition, we would like to use OreShura as a chance to further train ourselves in each of the skills required for fansubbing as to achieve greater completion of character, for which competition from other groups will be useful. Therefore, unfortunately, I would have to, on behalf of Akatsukin, refuse your offer. Best of luck in your ventures and no ill will willed your way.